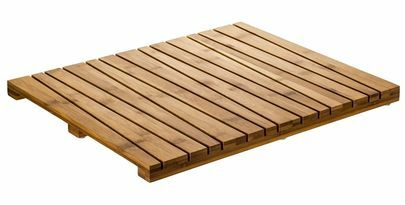 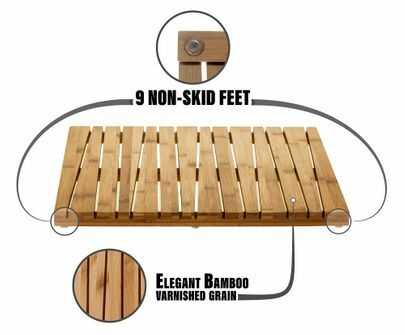 Add elegance and a new level of comfort to your bathroom, porch or patio with the Prosumer's Choice Bamboo Shower Bathroom Floor Mat. 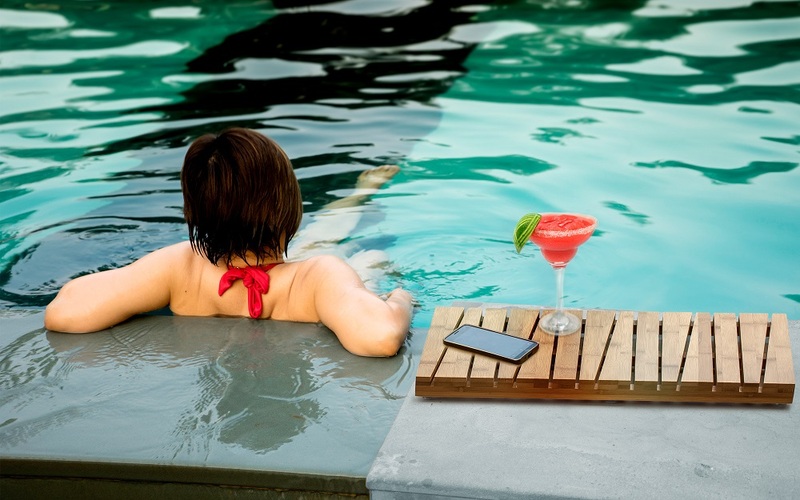 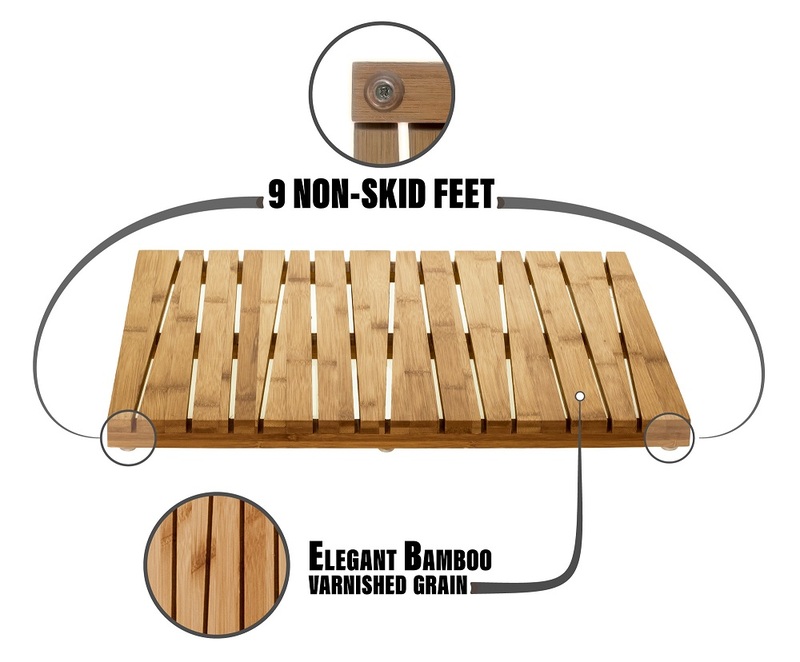 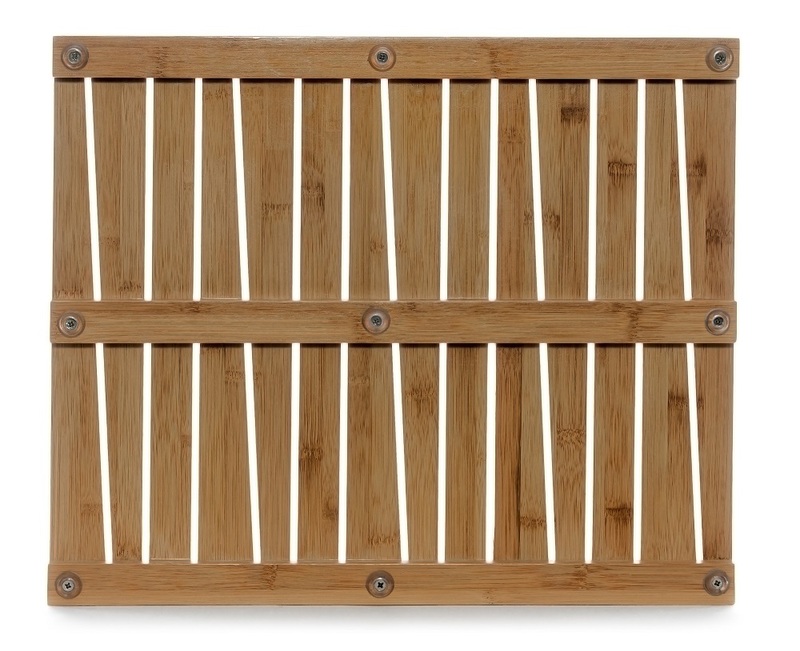 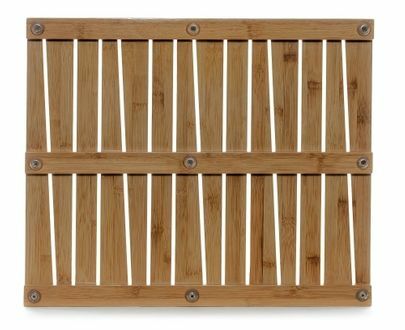 Eco-friendly and BSCI Certified as 100% natural bamboo, this bathmat includes a vented and raised design that allows more airflow to help keep surfaces dry and free of mold. 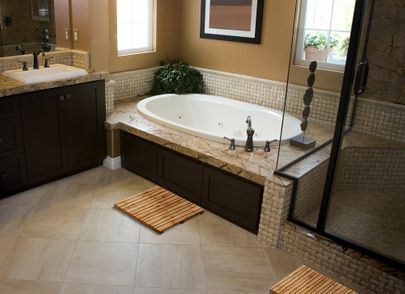 A better alternative than cloth or rubber bathmats, skid resistant feet keep the mat secure while you're stepping out of the tub or shower and the vented slats keep the mat looking clean and debris free.